Snapchat is one of the most popular social media apps used by everyone, especially children. For parents who are concerned about their children using the Snapchat account unceasingly, it is important to find out what they do on the app all day along. Now, this will lead you to look out for the hacking tools used to pry into someone's Snapchat account. The internet is filled with Snapchat hacking tools. 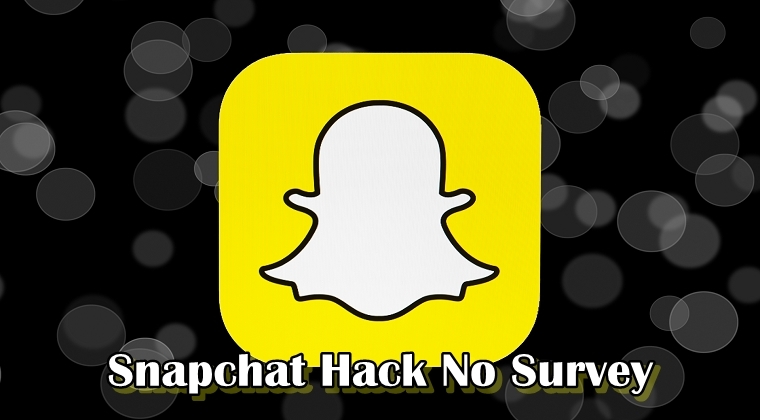 With numerous searches been made with 'Snapchat hack no survey' phrase, it is important to realize which result, or more precisely, which software or tool would work best for you. It's easy to say that parents can get help from the Snapchat hacking tools in order to keep a check on their child's activity. However, sometimes it's easier said than done. Google will present you several Snapchat hacking options but most of those links are bogus or contain surveys in them. This can be frustrating for the users to the point where they eventually decide to give up on the idea. You would already know what Snapchat hack means: ways to hack into someone's Snapchat account using specially designed tools. However, some of you might not know what an APK means. An APK (Android Package Kit) is the file format used by Android to distribute and install the apps. It comprises all the elements an app requires to install correctly on an Android device. We would advise you not to feel disappointed as it is not impossible to achieve what you'd planned to do. Hacking your child's Snapchat account is still possible. In this post, we are going to highlight what does not work and what really does work when it comes to Snapchat hacking. As we have mentioned before, Google will come up with a myriad of articles regarding Snapchat hacking, most of them are websites venting to perform a quick Snapchat hack. These websites contain bogus material and fail to perform the said Snapchat hacking process. The developers have purposely embedded surveys in their websites with the intention of earning some money. They will ask you to fill out the surveys in order to move on to the hacking process. Basically, what they do is, first, they ask you to enter the target's Snapchat username and then ask you to wait until the hacking process is complete. Once the process is complete, they require verification from you by flashing some links in front of you and then ask you to fill them in order to finish the hack. These links will help the developers generate money whereas the users won't be able to benefit anything out of them. We have ourselves tried and tested these fake websites and have reached the conclusion of not using them for their benefit. You may come across Snapchat hacking websites on Google namely Snaptool, SnapBrute, Snapchat Hack Tool, Snepshy, etc. We would suggest you stay away from these bogus websites and only rely on the authentic hacking tools. The most authentic way to carry out a 'Snapchat hack no survey' would be using credible monitoring tools and software that can be downloaded and installed on the target's device. Parents can use monitoring tools such as Mobistealth for keeping a check on their child's Snapchat account activity. Mobistealth is known to be one of the ultimate cell phone and computer monitoring software equipped with some advanced surveillance features. With the help of this tool, parents can monitor all the messages and pictures their child has shared on the Snapchat app. The best thing about this tool is that it is compatible with all the leading platforms including Android, iOS, Mac, and Windows. It comes with a friendly user-interface and is really easy to install and use. In order to use this monitoring tool for hacking a Snapchat account, first, you need to register online, download the Mobistealth app and then get it installed on the target's (child) device. Once installed, it begins to record everything that happens on a computer or cell phone. All the logged information taken from your target's Snapchat account is then sent to your online account. You can view the information (messages, photos, and videos on the target's Snapchat) remotely from anywhere at any time using your online account. Therefore, we would highly recommend using reliable monitoring tools like Mobistealth if you want to carry out the Snapchat hack with no survey stealthily.